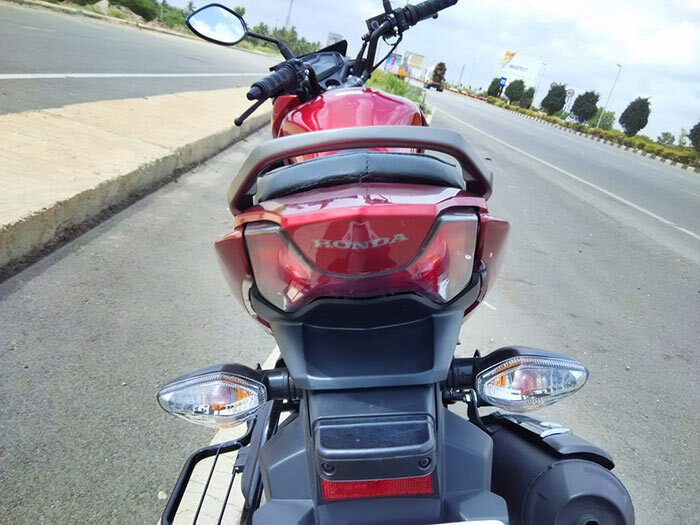 We got a chance to test ride Honda CB Unicorn 160, the 160cc motorcycle which was launched on December last year. The bike made its entry into Indian market with Looks Good is Good campaign which was aired during Worldcup season earlier this year. 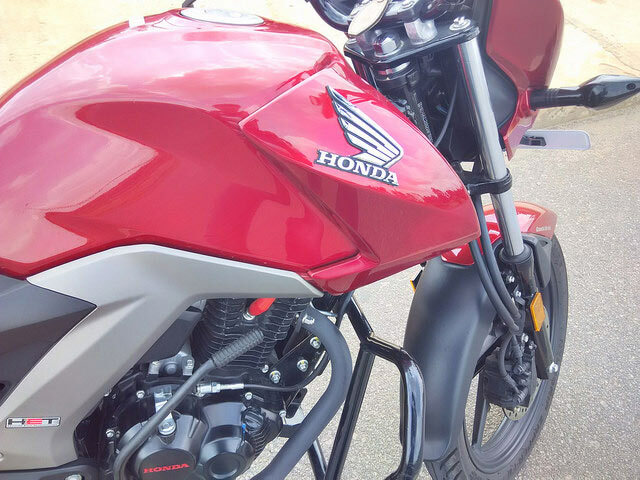 Honda designers have put lot of thought while bringing the next version of its famous CB Unicorn. 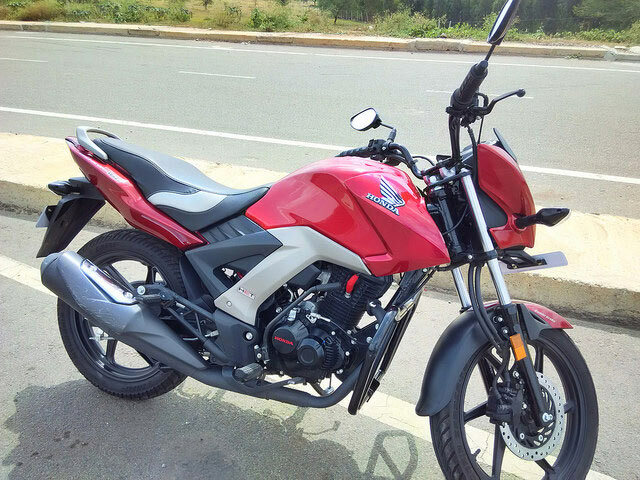 Just not the engine capacity, there is a lot of stuff which has been added which distinguishes itself from discontinued Honda Unicorn 150. 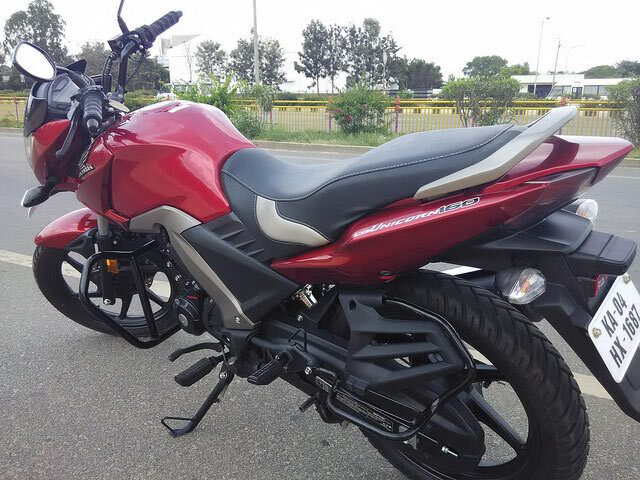 Honda CB Unicorn 160 looks very youthful with its new design thanks to Aerodynamic front coil with 3D emblem in the front. 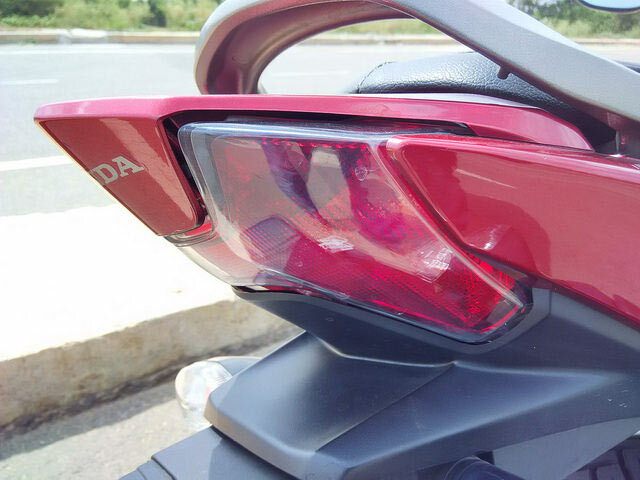 The LED tail lamp in the rear of the bike gets H shaped design which adds more beauty to the bike when compared to the older versions of CB Unicorn. Honda CB Unicorn 160cc comes with a fully digital meter which has digital-clock, trip-meter, odometer, tachometer, speedometer and fuel-meter. 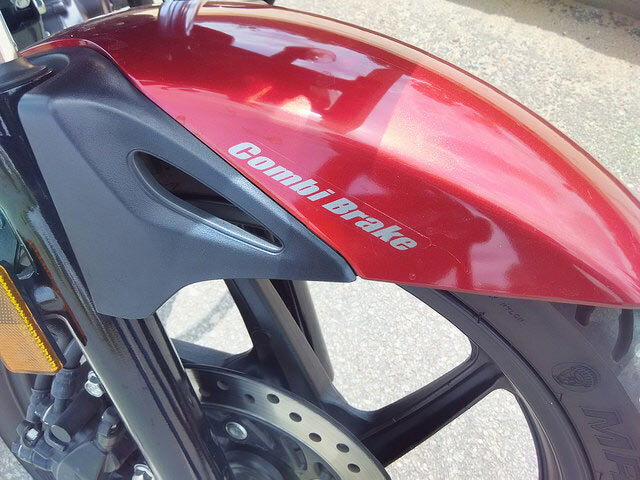 CB Unicorn 160 is equipped with combined braking system (CBS). Whenever you apply rear brakes at high speeds, the intelligent CBS system passes the effect to its front wheels as well, there by reducing the braking distance. We were able to test this feature during our trip to airport road where we applied brakes at comparatively high speeds to slow down at the speed breakers – we were able to experience the instant CBS braking effect. CB Unicorn 160 provides Mono-shock suspension. The mono-shock suspension feature was present even in its predecessor – Unicorn 150. 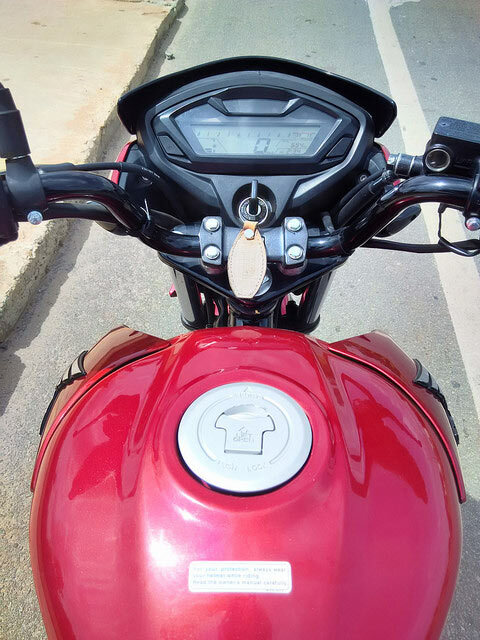 Suspension system of the bike worked fairly good while passing through road humps and on different terrains providing good resistance to the unevenness of the road. You can read the full specifications of the motorcycle below. Manoeuvring in this bike was very easy. 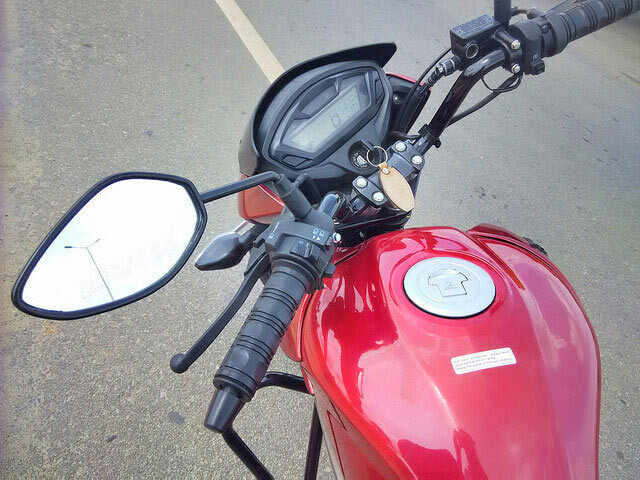 The handling of this motorcycle is good even in city where there is a stop-and-go traffic. We enjoyed cornering the bike event at high speeds. As it is a 162.7cc engine, the bike adds more power and provides a great stability while you are riding at more speed. This bike not only looked great and performed well, but also offered a great mileage. We recommend this bike for the youth who crave for styling and power. New additions like viscous air filters reduces the maintenance charge for customers. 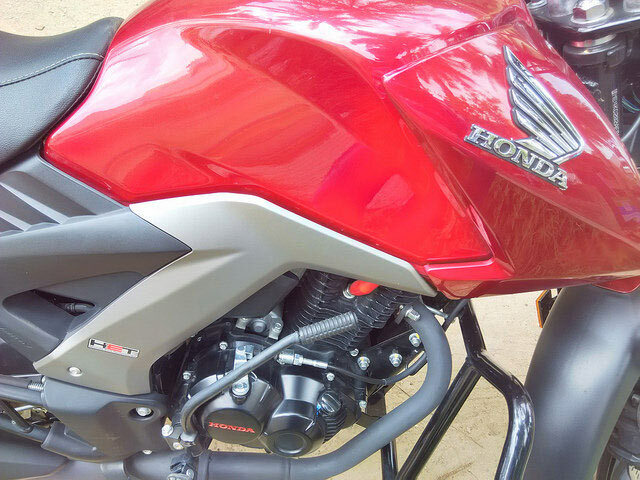 Overall, a great bike comes with a good service from Honda. You can find all the photos of CB Unicorn 160 shot during our test ride on our flickr photostream.